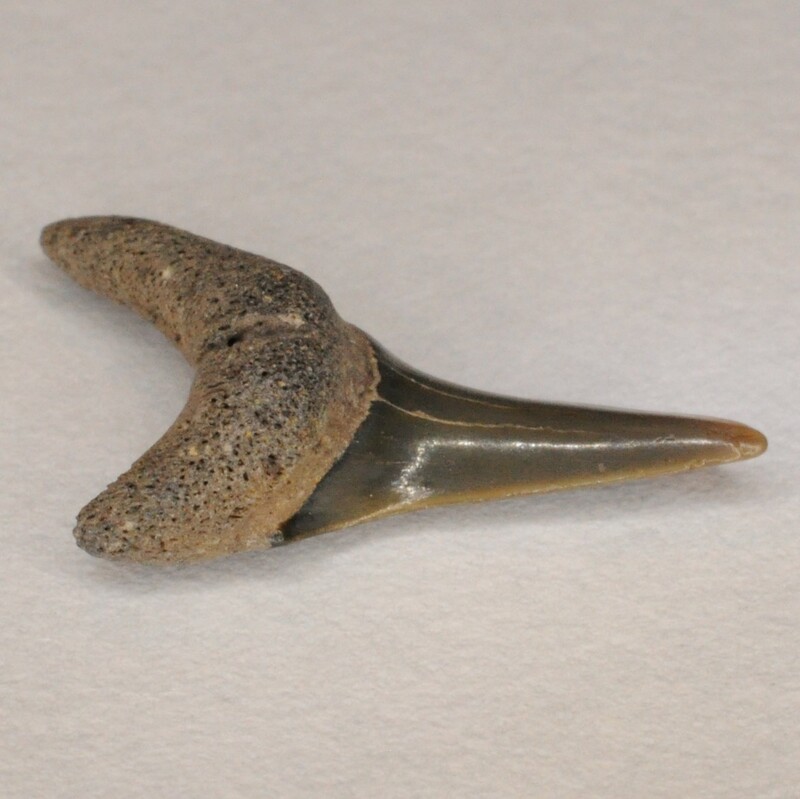 Shark teeth are the most common vertebrate find in the area because of their durability and numbers of teeth produced. 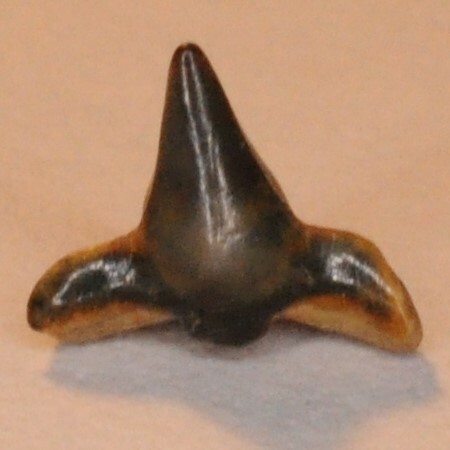 Shark teeth are also abundant in a single jaw. Each working tooth has on average about 3-6 (varying based on the species) replacement files behind it that are in various stages of development. There are many (~30) such rows in an average jaw (it varies greatly with the species). When a tooth is lost or broken during feeding it is eventually replaced with the one behind it in about a week. This keeps sharp teeth available. Interestingly, the crown of a tooth forms first and is then filled in with the root. Most sharks go through 10,000-20,000 teeth in their lifetime. Other New Jersey shark fossils include vertebrae, placoid scales, cartilage, fin spines, claspers, and coprolites. The body of the shark almost never fossilizes because it is made out of a cartilaginous skeleton. 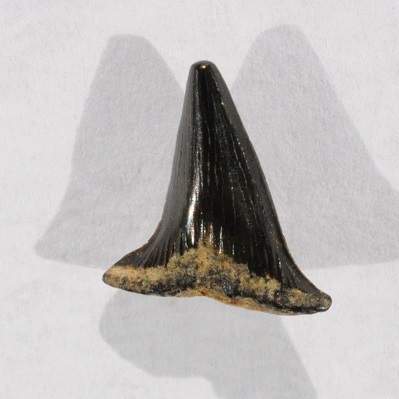 There are also 4 abnormalities associated with fossil shark teeth. They are digestion, pathology, in vivo wear, and leached/underdeveloped teeth. 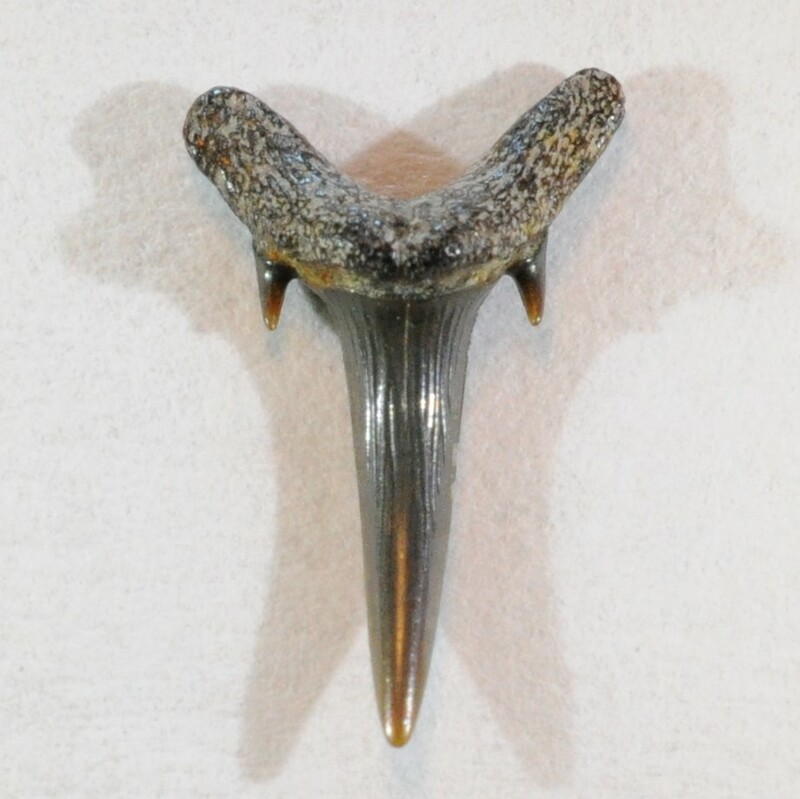 The root and the core of shark teeth are made of osteodentine. 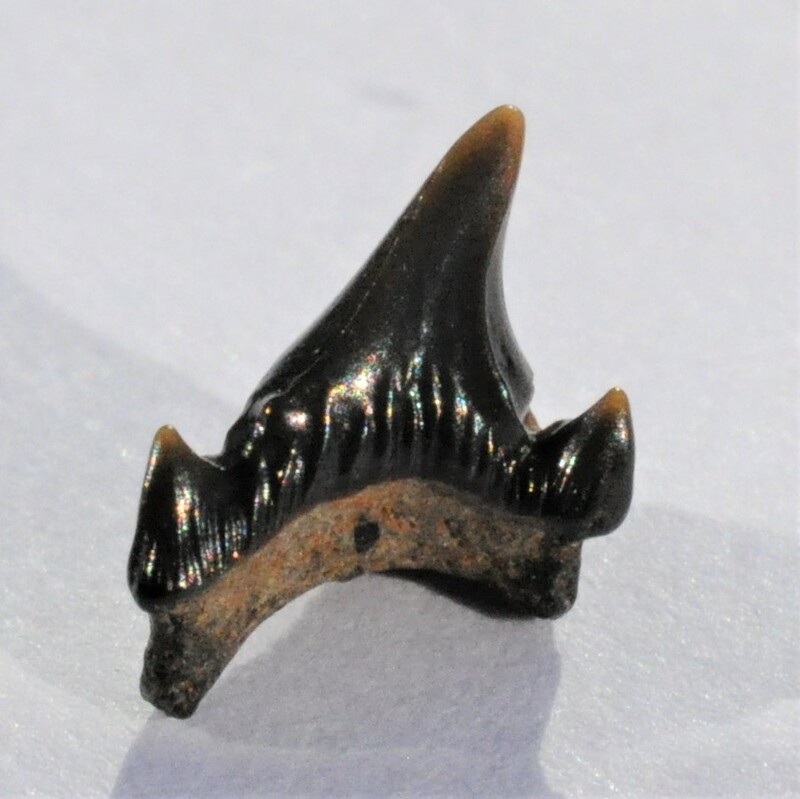 The enameloid of shark teeth is 97-98% pure Calcium phosphate (information from Dr. Boessenecker on TheFossilForum). 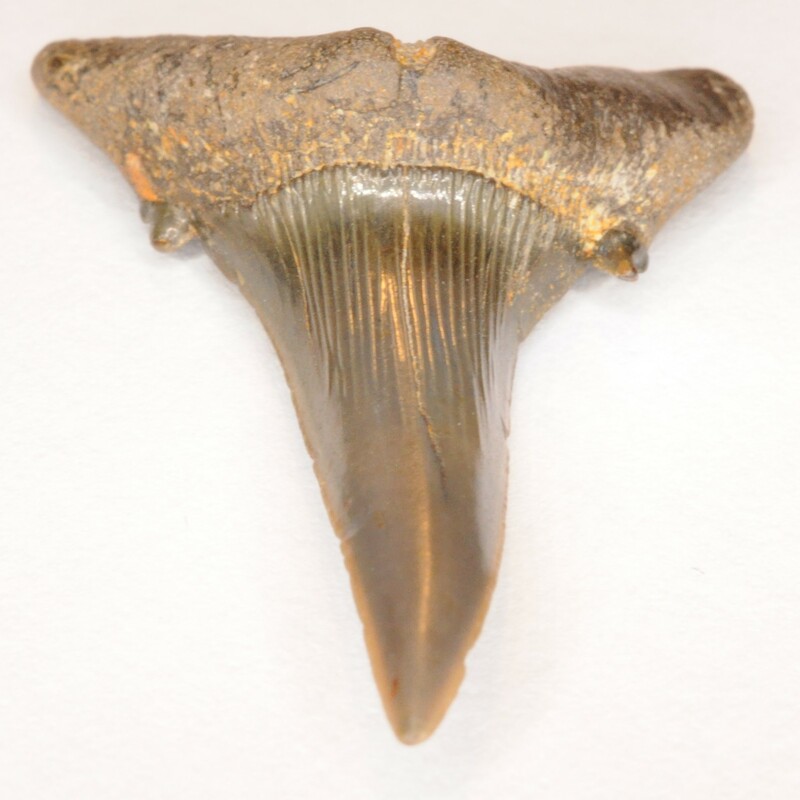 It makes the tooth highly resistant to wear during life and to stream action after fossilization. Once in a while a shark may swallow its own tooth (likely during feeding), leading to digested shark teeth. 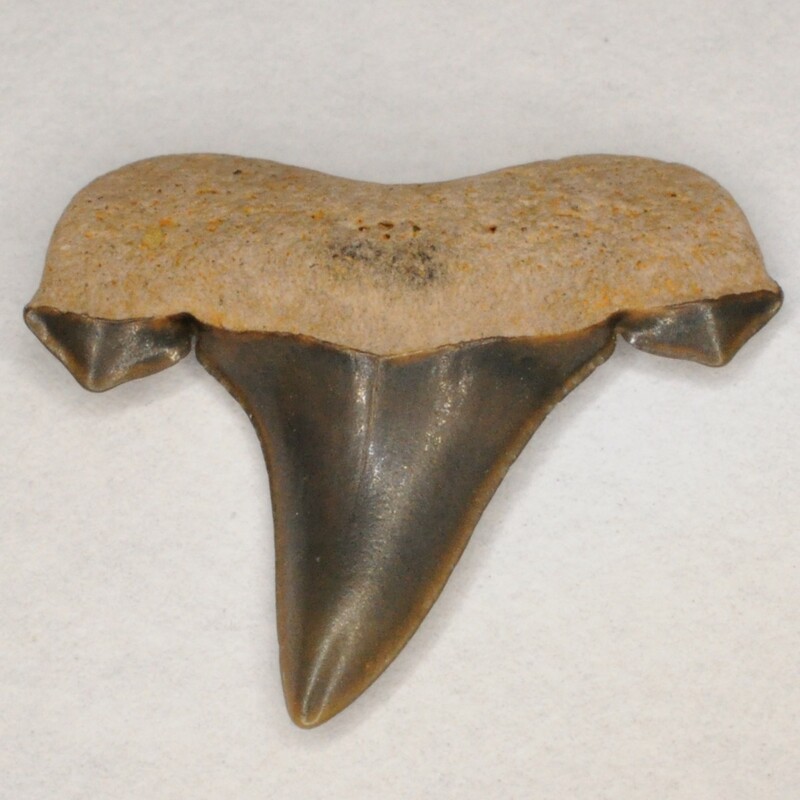 The enamel has much less nonsoluble/organic components than the osteodentine, allowing it to be more easily digested by the shark’s enzymes/stomach acid (information from Dr. Boessenecker on TheFossilForum), which means that digested shark teeth should technically have a crown that is relatively more corroded than the root. 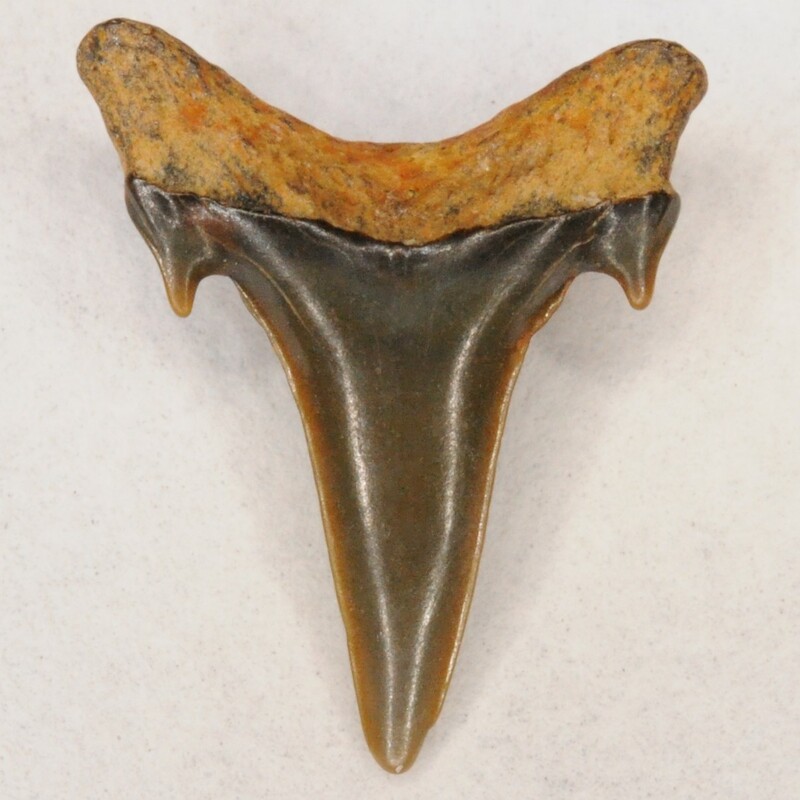 Digested shark teeth are fragile and would be much more definitively recognized in situ from a non-reworked formation/layer. “Tooth pathologies occur as bent or twisted tooth crowns, missing or misshaped cusps, atypical protuberances, perforations, and abnormal root structures. Deformed tooth files consisting of unusually overlapped or small teeth, or teeth misaligned in the jaw also occur in modern forms, but deformed tooth files generally are not recognizable in fossils due to post-mortem dissociation of teeth and jaws.” Most of the tooth pathologies occur because of “feeding-related injuries to tooth-forming tissue of the jaws, particularly by impaction of chondrichthian and teleost fin and tail spines.” However, there are other ways a tooth deformity may occur, such as one tooth rubbing against another tooth next to it, disease, genetic mutation, or simply strange variation. Strange protuberances and pathological roots likely occurred from something other than feeding injury, while bent/twisted crowns are likely from feeding injuries (information from “Siteseer” on TheFossilForum). “Variation in frequency of tooth deformity may reflect inter-specific differences in feeding behavior and dietary preferences.” This is defended by the fact that scavengers such as Squalicorax have low pathology rates (less chance of the prey thrashing around and damaging the soft, developing teeth), while other sharks such as Scapanorhynchus have a relatively high pathology rate. Becker, M.A, J.A. Chamberlain Jr., and P.W. Stoffer. 2000. Pathologic tooth deformities in modern and fossil chondrichthians: a consequence of feeding-related injury. Lethaia 33: 103-118. In vivo wear is wear that occurs during an animal’s lifetime. 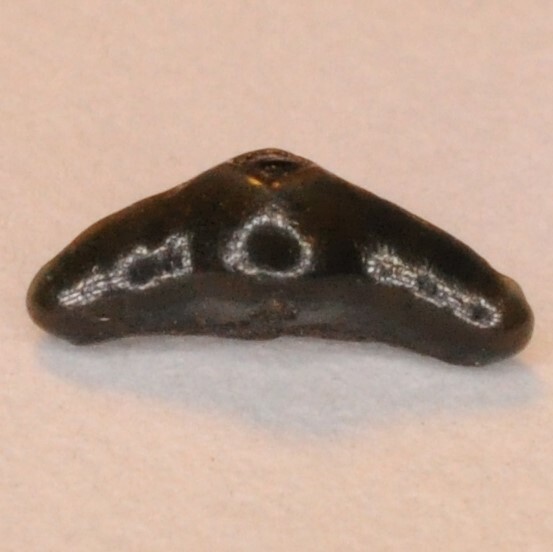 It will be used to refer to shark tooth crown wear on this website. It occurs when an animal breaks, chips, or fractures (“in vivo stress fractures”) a tooth. 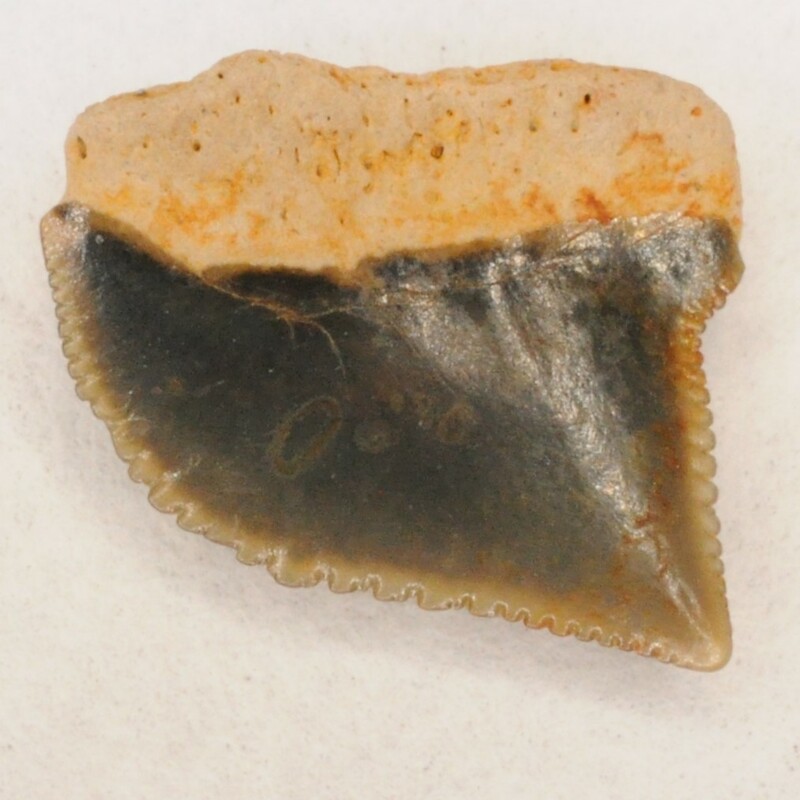 The fossil record also contains teeth that are either underdeveloped or leached. 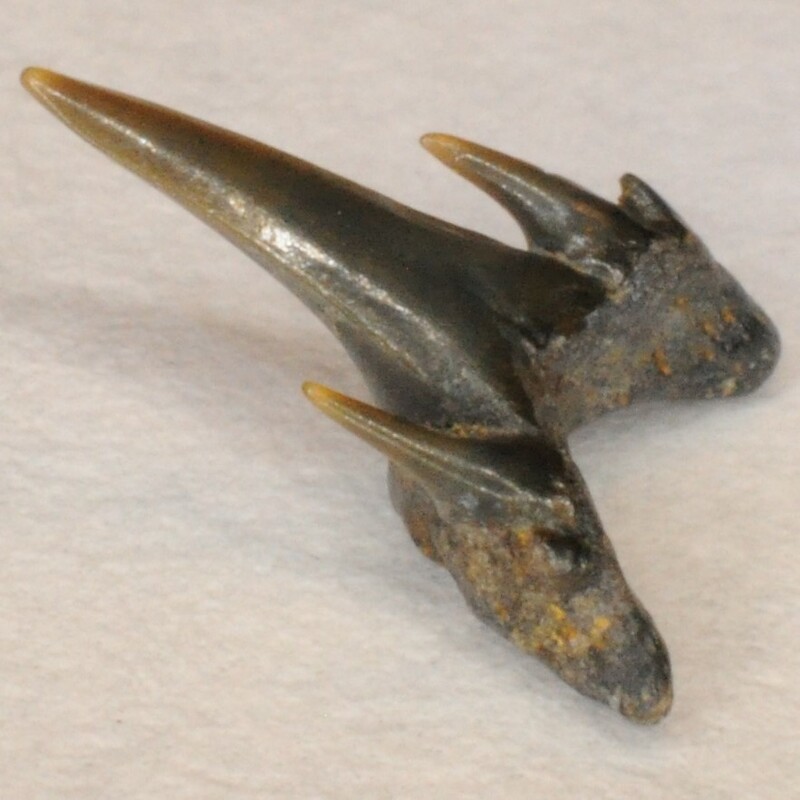 Underdeveloped teeth could only have a chance at being fossilized if the shark died. That means that the percent of hollow, truly underdeveloped teeth would have to be extremely low considering the amount of shed, fully formed teeth that are discarded during the lifetime of each shark. They would look like hollow/nearly hollow tooth shells since the root would not have finished forming inside the crown. 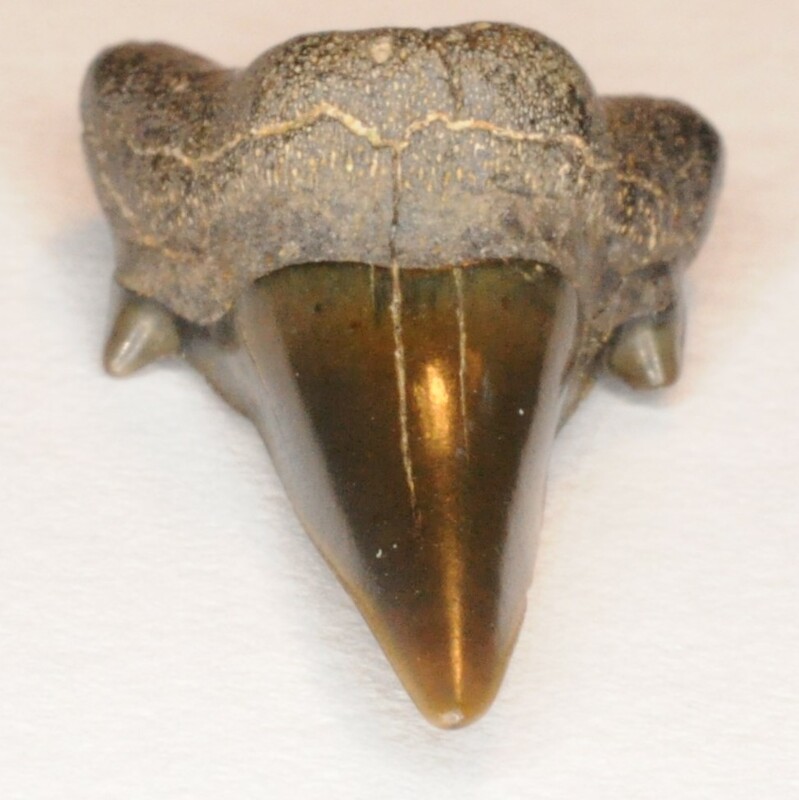 It would be extremely rare to find them in the fossil record because the tooth shells would be easily crushed either before fossilization or by the sediments surrounding them after fossilization. 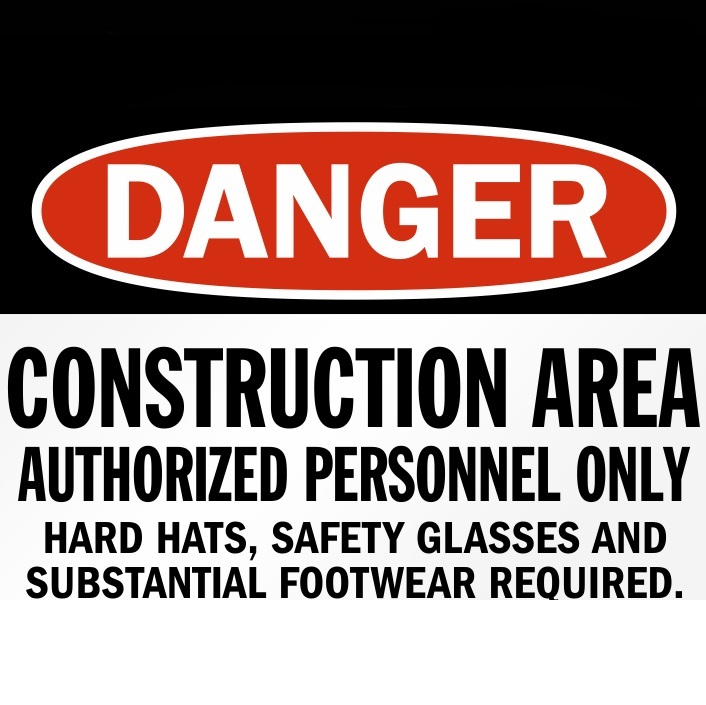 On the other hand, leaching is a common phenomenon that occurs in many deposits. 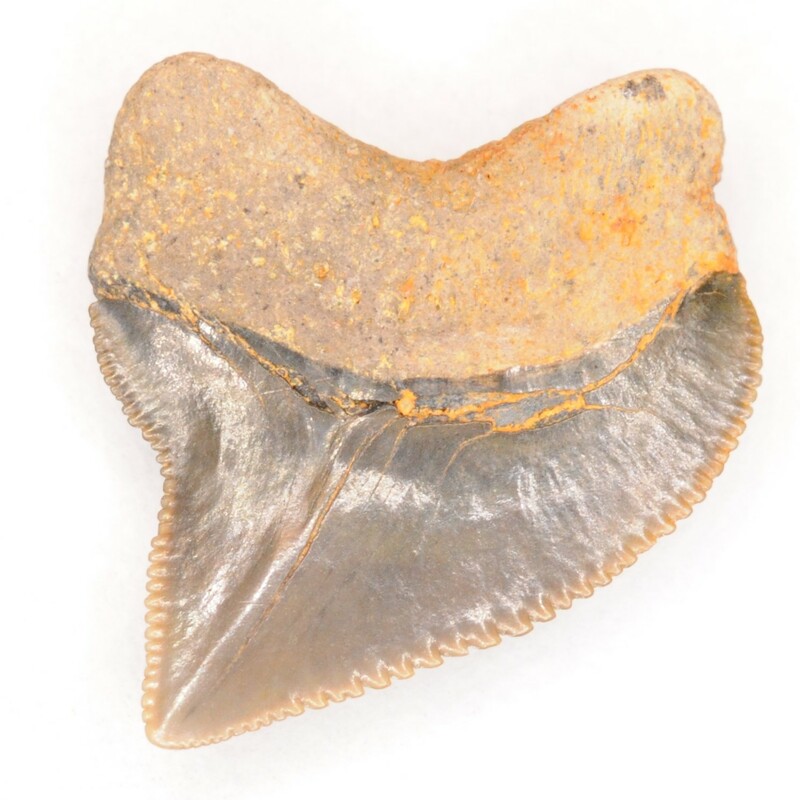 Factors such as groundwater have a good chance at dissolving the softer parts (root and dentin) of the shark teeth, leaving the hard, outer enameloid tooth “shell.” The more isolated the formation is from the outside environment (for instance being densely packed or containing a lot of clay), the lower the chance the fossils will be leached. 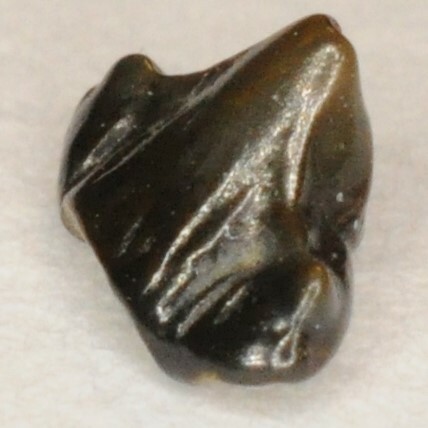 Many sites contain crown-only specimens due to leaching. 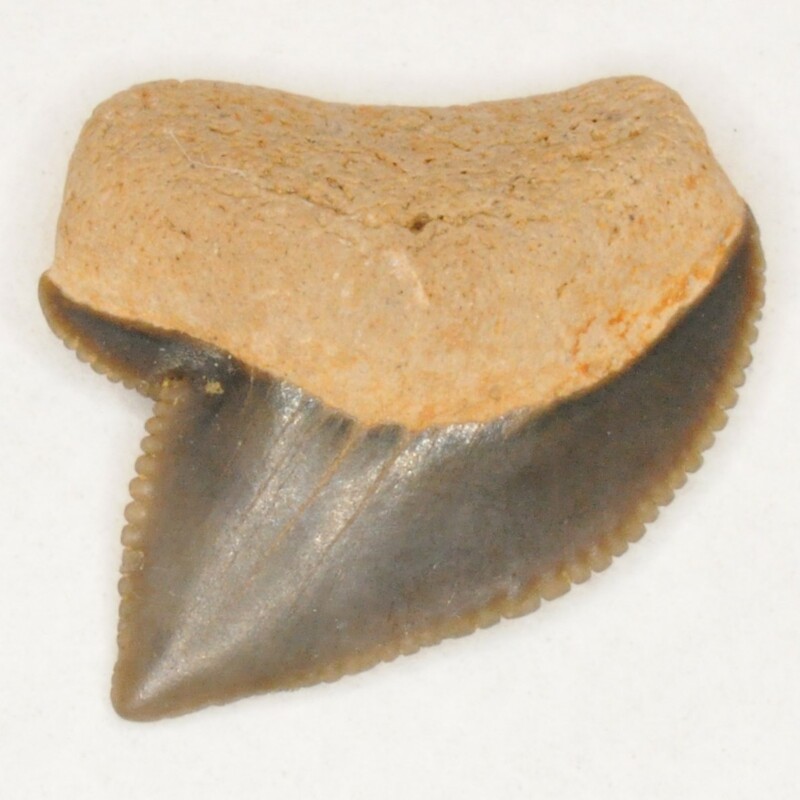 As a conclusion, virtually all enameloid-only* shark teeth from New Jersey are leached rather than underdeveloped. *Note: I am talking about the distinct, fragile teeth as the leached/”underdeveloped” ones and not the ones that have strong preservation and simply had their roots corroded by some other factor such as reworking.